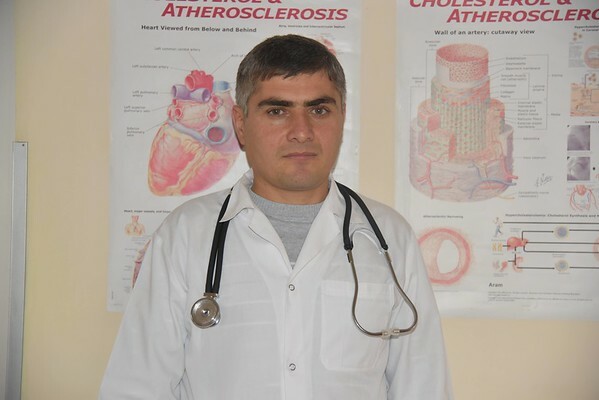 As a physician who has worked in this rural region for more than 10 years, Dr. Mkrtchyan feels there is room for improvement and he yearns to provide better service and more comprehensive medical care, which is why he applied to FAR’s Continuing Medical Education (CME) program for the second time during 2017. Through CME he was able to practice at Yerevan’s Heratsi Hospital Complex №1 in December. During his first experience with CME in 2014, Dr. Mkrtchyan focused solely on echocardiography at Marash Medical Center in Yerevan. This time, the physician said he was able to do more. The four-week practical training enabled him to study the new approaches and tendencies within his specialization. He also created a network, and exchanged knowledge and expertise on specific cases. “In the CME program, you communicate with doctors, you start reading medical publications again, you examine new and different approaches to treatment. I normally feel stagnant on a daily basis at Yeghegnadzor Medical Center, and this is a great opportunity to repeat lessons and acquire new experience,” said the doctor. Dr. Mkrtchyan also highlighted the importance of the 93 Continuing Medical Education credits that all participants of CME receive once they compete the program. Those credits are now mandatory for doctors to acquire every five years, according to a new law on medical assistance and care. The overall amount of the credits needed every five years is 220. In 2017, 113 doctors from Armenia and Nagorno-Karabakh accessed professional development opportunities through the CME Program.